Home Bollywood Gossip Ranveer and Deepika sign contract with chefs to prepare exclusive dishes for their wedding? 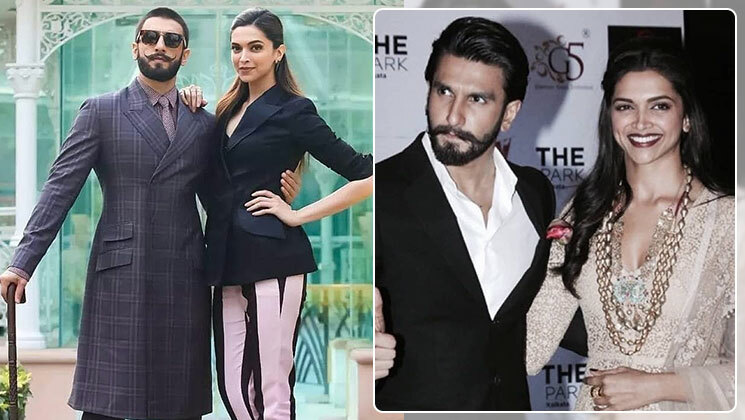 After months of speculations, Ranveer Singh and Deepika Padukone have announced in a joint statement that they are all set to tie the knot in November this year, their announcement was received with joy by their fans. The much-loved couple who have been dating each other since past six years thanked their fans and friends for the love they showered on them. Reportedly the nuptials of Deepika Padukone and Ranveer Singh will be taking place in the scenic environs of Lake Como in Italy on November 14 and 15. The couple will leave with family members for Italy on November 10, for the four-day extravaganza. With each passing day, new details of their marriage have been emerging, it is being rumoured that the couple has now asked the chefs to sign a bond and prepare exclusive dishes for their wedding that will not be used anywhere else. The ‘Padmaavat’ stars have also zeroed upon Versace cutlery for their special day. As the wedding functions at Villa Del Balbianoare are to be colour coordinated, they have asked even the waiters to be dressed as per the code for the day. DeepVeer’s wedding is said to be a private affair with only 30 close friends and family members to be present at the functions and the guests have also been requested not to carry mobile phones as they want to ensure complete privacy. Apparently, Ranveer and Deepika will get married following the South Indian customs on the 14th and with Sindhi traditions on November 15th. They will later be hosting two receptions;one in Mumbai on December 1 and other in Bengaluru on November 21, 2018. According to the latest reports, their reception in Bengaluru will take place at Hotel Leela Palace and in Mumbai at the Grand Hyatt. Also Read: Deepika-Ranveer to have colour co-ordinated wedding functions?